It used to be possible to subscribe and thus receive and email whenever blog content was updated in the community blogs. 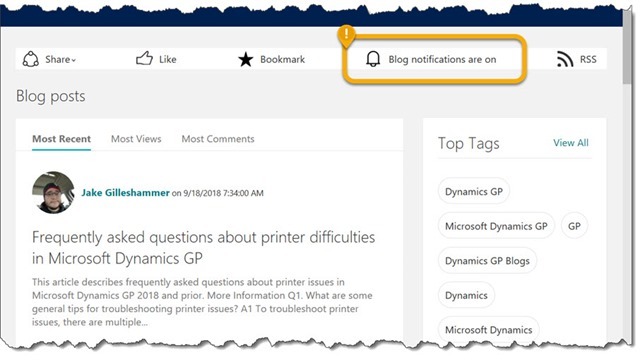 The ability to have an email sent when content changes in the community blogs has been restored after it was lost in the big redesign earlier in the year. 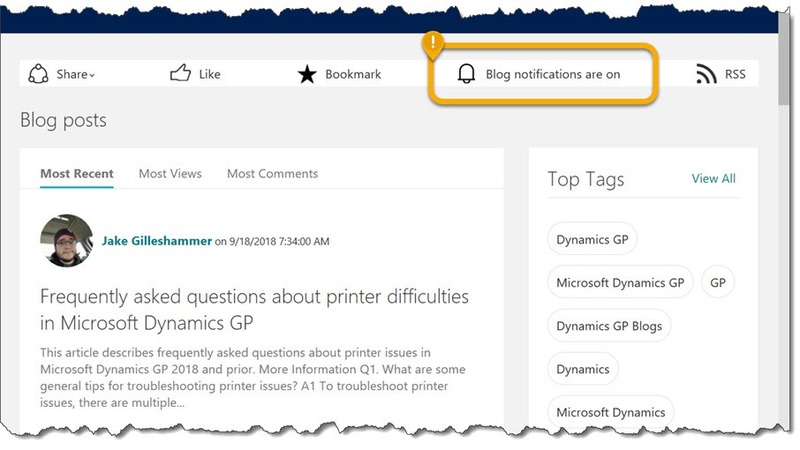 I was recommending that Steve Endow @steveendow should be trying this feature to be notified of new blog postings, only to find that the feature was no longer available! After brining this to the attention of the team responsible, they have kindly restored the functionality. So if you want to know when a new post goes on the blogs, use the bell icon at the top of the blog as shown in the screenshot. 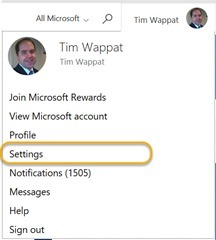 To configure the email settings go to your picture at the top right and use the drop down to get to settings. 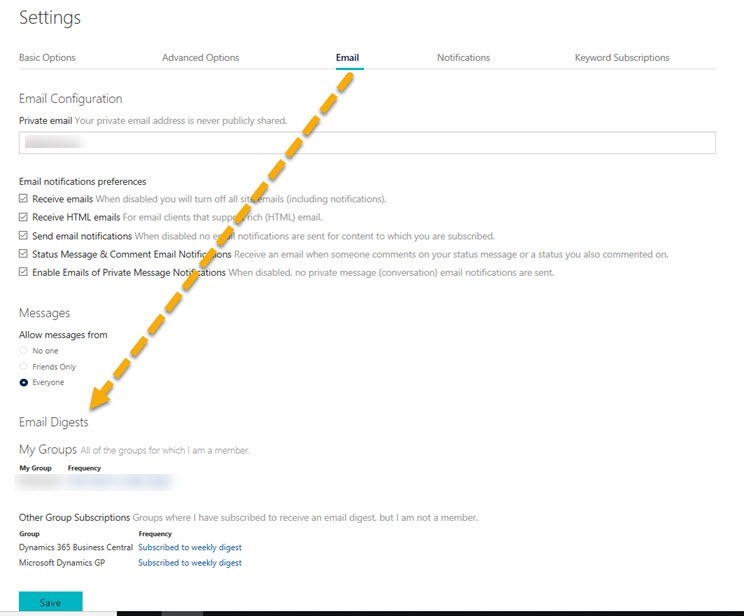 For each group you can change the frequency and nature of the mail from that group (blog). 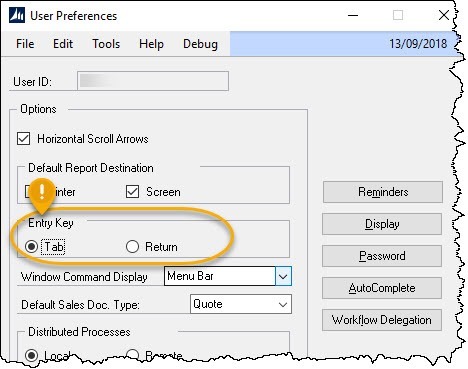 Navigation from field to field on a form in Microsoft Dynamics GP can be performed using the [Tab] key, or if the option has been set the [Return] key on the keyboard. A quick internet search reveals this ability to change field navigation preference is a standard feature of software such as; Quickbooks, Xero, Quicken, and no doubt most of the other similar products too. 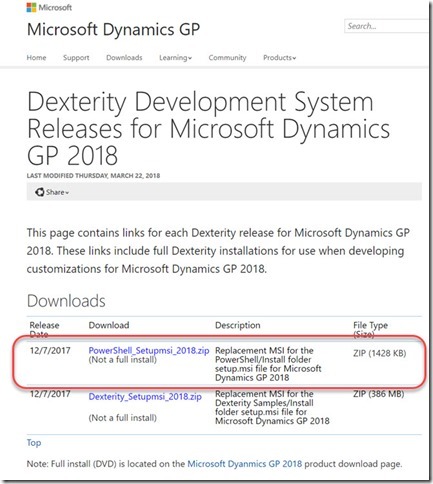 When creating an add-in form for Dynamics GP, don’t forget to support this unless you want user backlash. The first ERP system I used was literally a green screen application, you didn’t have a mouse, instead function keys allowed you to quickly jump around the screen functionality. Navigation from field to field was achieved by pressing the enter key repeatedly until you were at the field you wanted to edit. The field content is then changed and press enter again. When the windows operating system came along, the Tab key became the standard navigation field for moving between fields on forms. My thoughts are that, for those still hard wired in their heads to use Enter key from non –graphical user interface applications, software vendors still supported this, to help the user in the transition to the application running on windows. Perhaps green screen allowed the tab key back then too, I’m unsure, I, like others just used Enter! Whatever the history is, in GP we can, in the user preferences set this. Looking at the figures, it seems users prefer to use the return key. This might not be the whole picture, many users may not even realise they can change this preference, the user default in our case set to Return. Tab is the windows default for navigation, so are we setting our users up for digital failure in their lives outside work, where they find they can’t use the Enter key? For example, on the internet, in browsers, we find that the Enter key will normally submit a form. There is data saying that only 10% of regular (non geeks) tab between forms, the sad truth is the rest leave the keyboard, grab the mouse click, then return to the keyboard. Even worse studies show that users arriving at a form, even though the cursor is blinking in the first form field that they want to fill, will still grab the mouse and set focus on that already focused field before typing -ugh! It seems that the standard user just doesn’t value speed or ease in their interaction with the device they spend most of their day in front of. Most of us know users will rarely invest the time up front to learn how to use an operating system/application properly, even when it could vastly improve their efficiency, they just don’t value it. While we are talking about this kind of thing, there is another kind of user worth mentioning, rare to find but amazing to watch in action. In my experience, they tend to be an older user, brought up on green screen technology. These users don’t leave the keyboard, in fact they raise a big sticking objection if the form tab order is not correct and if they can’t do everything without the mouse and with shortcut keys or key chords. These users use the application like they are playing a familiar song on the piano, using muscle memory to enter data a lightning speed, without taking a breath (grabbing the mouse). 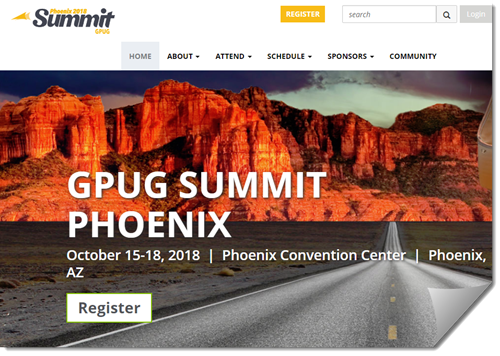 If you are into Dynamics GP, Power BI, then head over to GPUG Summit summit this October in Arizona – even better, bring your “IT crowd” too! This event has over 215 GP –specific sessions and a separate parallel conferences going on “under the same roof” for business central and Power BI. There will be lots of ISVs and networking opportunities in the expo hall and corridors. It is difficult to emphasise enough the value that can be found in attending this nature of event, with a world class concentration of expertise in the Microsoft Dynamics products housed in the same place for a week. There is a strong sense of community and endless opportunities to get the answers to long held questions, or discover new products and features that you never realised existed. This knowledge could be priceless when brought back to the workplace after the event. Lots of practical sessions are available on how to better utilise the investment you have in your company systems. This includes discovering the tools you didn’t even realise you already had at your fingertips. Notably, this year there is a real growth in the developer and IT pro tracks – so not only will the accounting, purchasing, warehousing, sales, admin employees find value in attending, now the IT crowd can come along and there will be lots for them to get their teeth into too. Have you ever considered how much more could be achieved in your company by growing a better understanding of the financial systems that drive the business, by getting buy in and understanding from your IT support staff and developers? Trust me, once they see the kind of things that are possible from the exhibiting companies and from the technical sessions, they will return enthused and ready to help facilitate change, perhaps brining in improvements (great and small) for everyone! –my message is simple, BRING YOUR IT CROWD TO SUMMIT 2018! See my write up of the 2016 Summit in Tampa for an example of what to expect. As a bonus I will be presenting two sessions, so see you there! 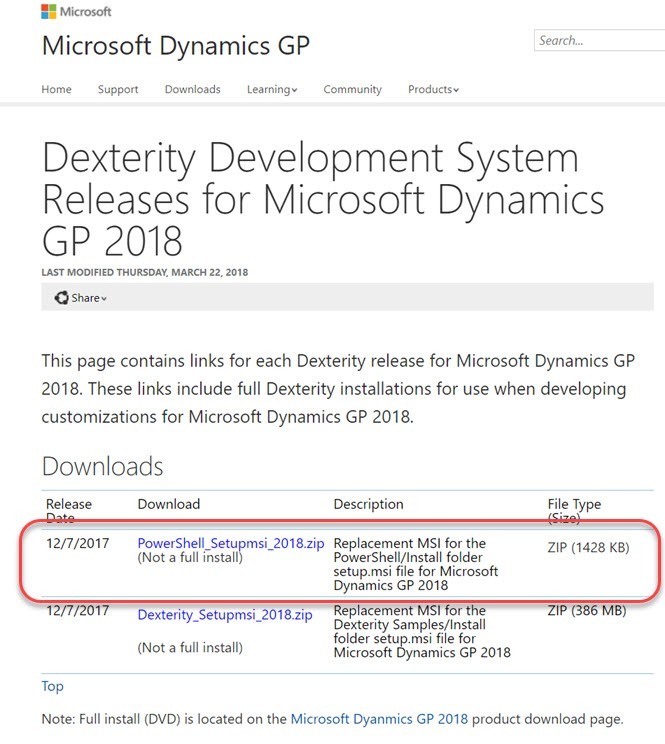 You can see above that the installation media MDGP2018_RTM_DVD_ENUS has under the Additional Products the GP2016 installer for Power Shell. It is not obvious that a administration module should be under something as specific as Dexterity Development System – buy hey at least it IS available!